Hi there! 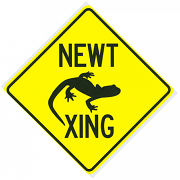 I'm Newt. I was rummaging around on the Internet and landed here some months ago as a guest learning about K-Cars after first hearing about them. 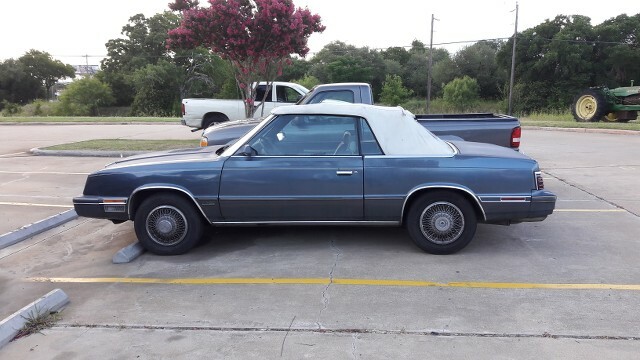 After the interest didn't stop, I ended up buying a (non-running) K-Car of my own - a 1984 Chrysler LeBaron Convertible with the Mark Cross package. 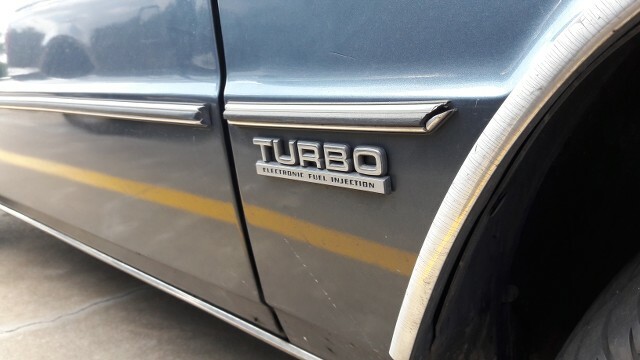 Tasty Turbo I action. More than anything, I wanted someplace that has reciprocal interest in K-Cars. Most people seem to have absolutely no enthusiasm about something so prolific. I decided that instead of annoying all of my customers that it may be wiser to post and contribute media and information as well as glean more knowledge elsewhere. Enough banter for now. The previous owner stickered the trunk. Nothing some Goo Gone can't fix. Never wrecked, crashed, bumped, or abused. I was delighted to find a car in this body condition. 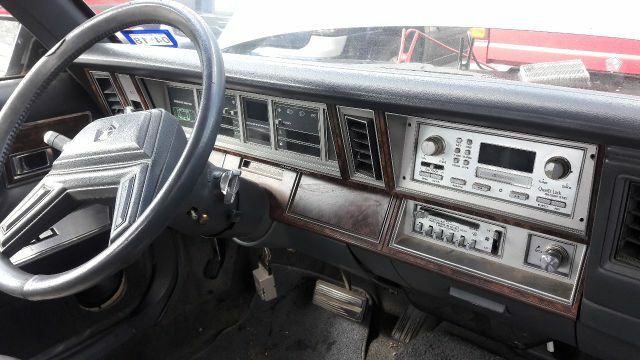 Central Texas doesn't use road salt, so this vehicle escaped rusty demise. Okay, now I'm just having fun. Someday soon, a lot more fun. I want to have this fellow road-worthy by the end of the year. We'll see how it goes! The car cranks and turns over fine, but won't start. I'm going to be replacing a lot of mechanical components since I'm not sure exactly what the issue is. I'll start with fuel delivery and go from there. I am very excited to work on this car. Please, let me know what you think. 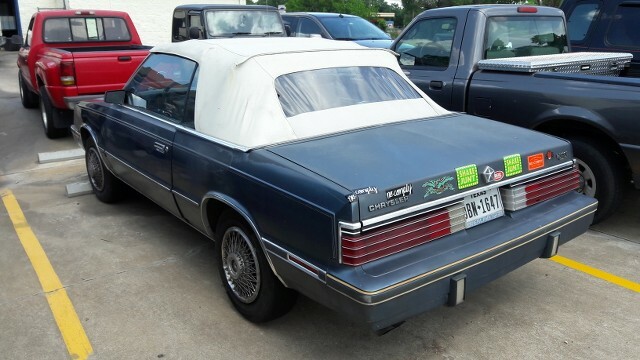 All of the other folks my age (I am 23) think I'm wasting my time not working on some riced-out car when I'm more interested in enjoying the history of a K-Car. Your starting issue shouldn't be to hard to diagnose, fuel,ignition and compression if everyone is home you're running. 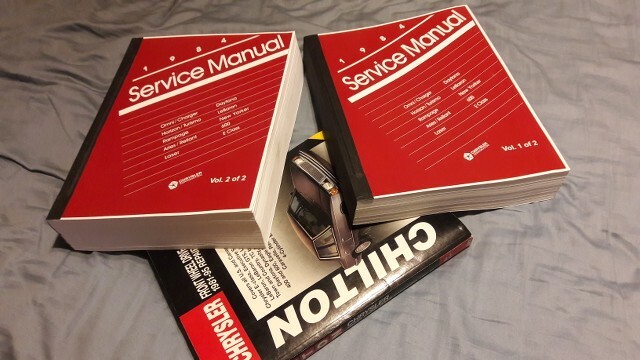 The first step would be to get the Factory service manuals .....ebay is a good source but you can try places like Bishko books etc. for some excellent interpretation of fault codes and so on. Check back and post your progress..... I personally own four K cars and you're not wasting your time. I was impressed with the design back when they were new and I still think they're fun!! 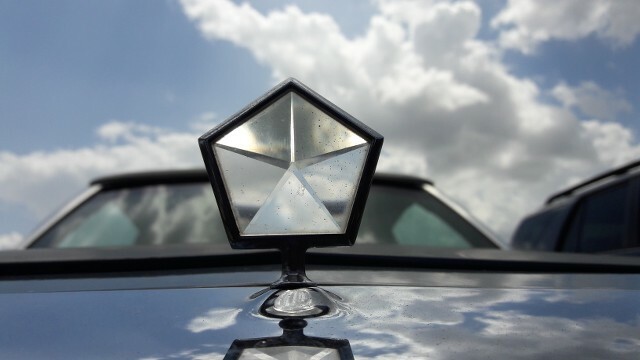 Don't forget you're preserving a piece of Automotive history! I didn't know about minimopar, though. Thanks for the information. Anyway, I got some more photos for you. I haven't had any time to dig in and work, but I figured I'd provide these shots of the interior. It seems to have fared reasonably well, too. 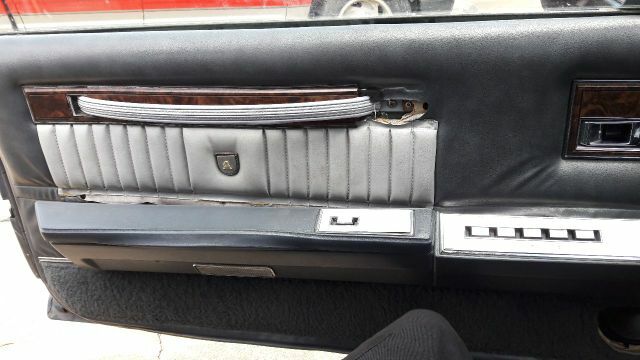 Driver door. 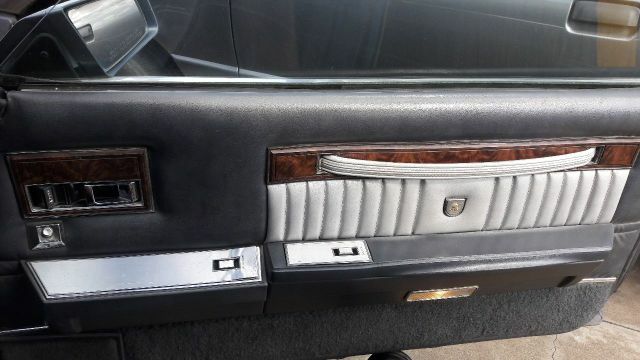 I found the bit of fake wood trim that's missing. I'll plastic-weld it together later. It also seems that it just needs some of the fasteners, as when you press the handle to the textile, it looks just about new again. 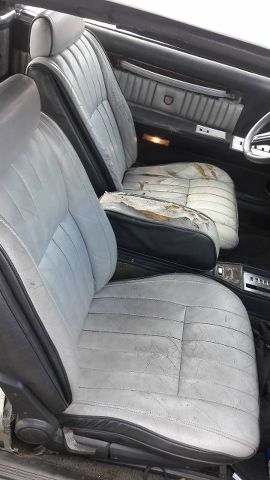 Looks like the previous owners rode solo a lot. The really good stuff. 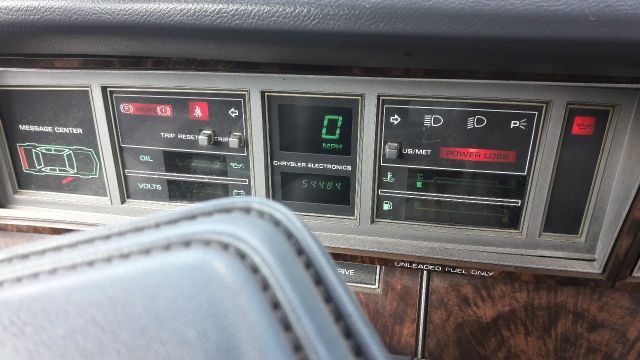 Pretty low mileage. Anyhow! I plan on replacing the headgasket and headbolts on this. To my understanding, the stock ones were a sort of cork-like material and a bit prone to failure. Since it could be an issue (i.e. failed gasket causing lack of compression), it makes sense to replace it to me. 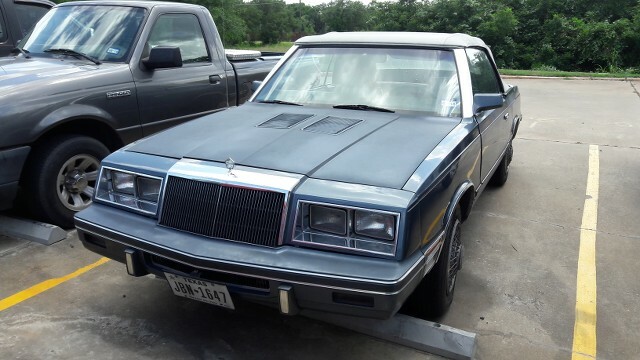 I'll also be replacing the fuel pump, fuel filter, and the plugs, wires, and distributor cap and rotor. I don't know when these were last done and I'm willing to put in some money if only to have new fresh stuff to remove variables. I'm not a foreman or anything, but I am a technician. I have a compression tester that I'll use to see what compression is at for each cylinder. Once I get more to troubleshooting, I'll post in the appropriate subforum. I know my way around tools and how to not mess things up catastrophically, so I have that in my favor. Lastly, my plan is to read up on Turbo 1 and learn everything I can about it. This is my first turbocharged car. Thanks again for reading! Please, share any other insights or comments you have. Boy didn't take you long to do a 180 on this car! I pity your life and what it will throw at you down the road.